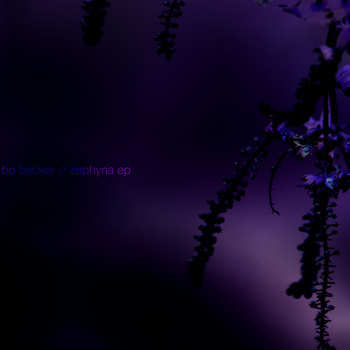 “Zephyria” is the work of Bo Becker, which includes three tracks, with the entire duration of 21 minutes. The EP starts with “Islands Of Memory’, a compositions with slightly separated portions of sounds, as if representing the mentioned “Islands”; the portions smoothly turn into each other, sometimes calm, sometimes a bit overdriving, but in the whole quite soothing and carefully. “Zephyria” appears to be the ambient reflections of distorted guitar sounds, drawling, indeed like a song of a Western wind, and thoughtful and picturesque climate. “Anthracene Fluorescence” turns to be a solid, driving and powerful mass of distorted guitar sound, that has two distinguishable layers: background low crackling drone, and solo high-tone howling, creating a peculiar and uncommon atmosphere, with interrupting, flashing pictures on the listener’s inner screen – those pictures are of rusty and sometimes monochromatic spectrum. So, travel across the “Islands of Memory” with Bo Becker’s “Zephyria”. This entry was posted in Uncategorized and tagged ambient, Bo Becker, drone, self-release. Bookmark the permalink.